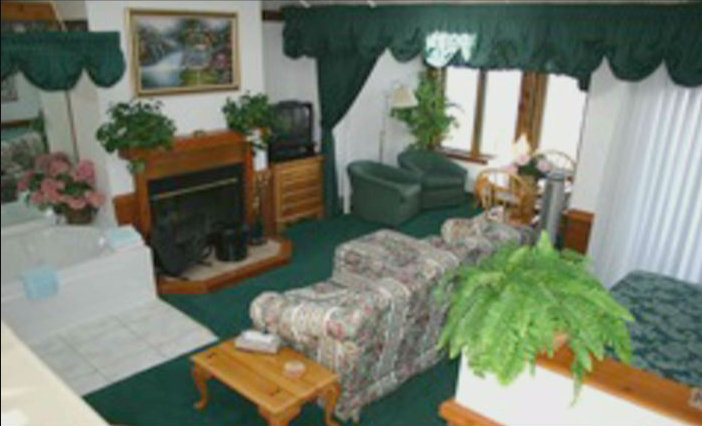 All Lakebluff Condos & Suites on beautiful Mackinac Island feature hotel amenities and air conditioning. Book today. A one room Romantic Honeymoon Suite that sleeps two with a solarium over-looking a breathtaking view of the Straits of Mackinac and the Mackinac Bridge with awesome sunsets. 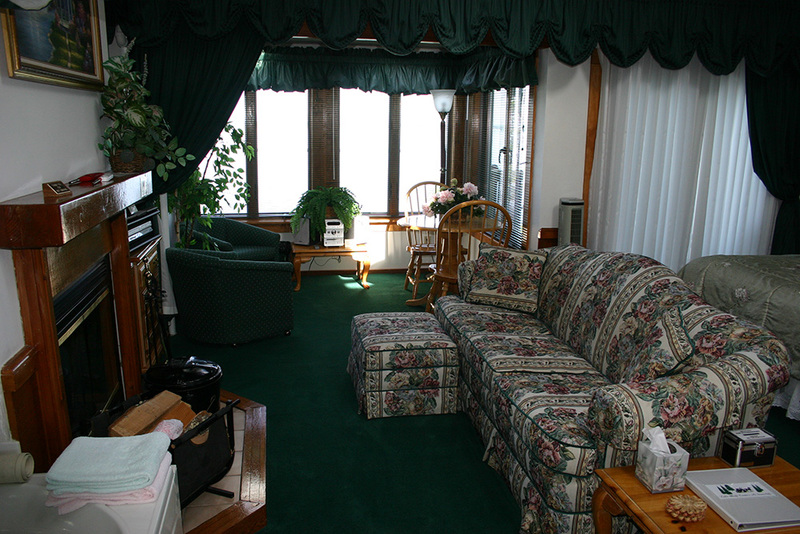 The solarium has a small dining table and two chairs besides a sectional Lounge. The kitchen has a microwave, bar refrigerator, toaster and coffeemaker. 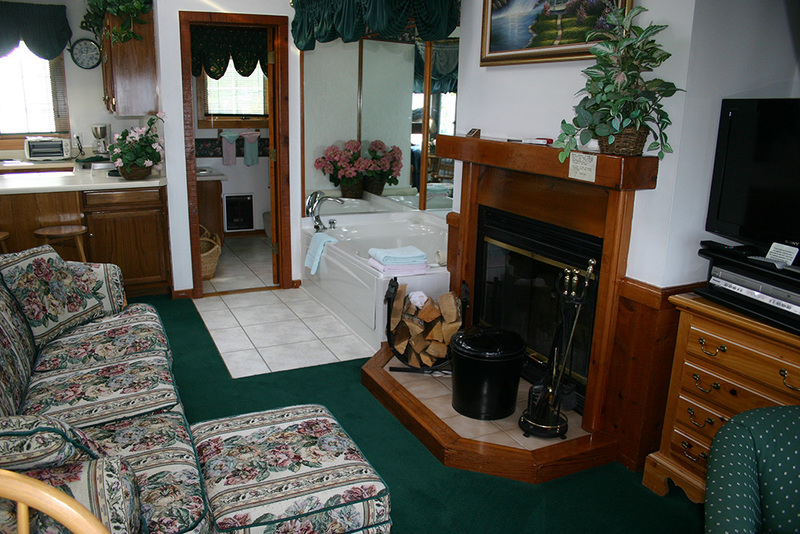 The bathroom features an oversized bench shower and the whirlpool tub is romantically situated in the main room nestled next to the fireplace. This suite has a queen size bed; the sofa is placed in front of the fireplace, all of which is under a high cathedral ceiling with skylights. It has 2 private balconies, the back deck overlooks the Straits of Mackinac with magnificent evening sunsets, while the front deck overlooks the beautiful grounds of Stonecliffe. This Suite's romance and charm is only surpassed by its spectacular view. Perched atop the West Bluff of Mackinac Island, Lakebluff Condos and Suites is the ideal location to relax, unwind, step back in time, and enjoy the quiet splendor of simple living. Leave your cars behind and join us for a stay you'll never forget.